I agree completely. 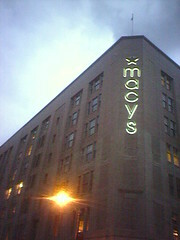 It's not as if the quality of the shopping has changed by the store becoming a Macy's. Will we get a thanksgiving parade now?